Orphaned as an infant during Winter's defeat, Meira has lived her whole life as a refugee, raised by the Winterians' general, Sir. Training to be a warrior - and desperately in love with her best friend and future king, Mather - she would do anything to help Winter rise to power again. So when scouts discover the location of the ancient locket that can restore their magic, Meira decides to go after it herself. Finally, she's scaling towers and fighting enemy soldiers just as she's always dreamed she would. 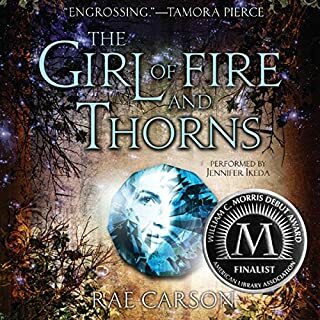 But the mission doesn't go as planned, and Meira soon finds herself thrust into a world of evil magic and dangerous politics - and ultimately comes to realize that her destiny is not, never has been, her own. Not really, I struggled the whole way through the book and dreaded listening to it on my daily commute. I was trying to give it a chance so I finished it, but I won't bother with the others in the series. The premise is interesting, with the different seasons and magic. The forced love triangle was painful, but the worst was the main character's lack of growth. There were so many times that I just wanted to slap the girl for her selfishness and self-pity and yet there was no arc where she ever redeemed herself. She captured the main character's personality fairly well, and some of the minor characters, though I think some work should be done to make sure the different voices stand out more from each other, especially with male characters which can be very difficult. Was Snow Like Ashes worth the listening time? No. Sadly, it was not. I wanted to like this book, I really did, but the main character killed the whole premise for me. Everything. I love all her work; she's awesome! No. And that's exactly why I didn't give it a perfect score. I enjoyed it and it kept me entertained, but it wasn't anything to rave about. It was ok. 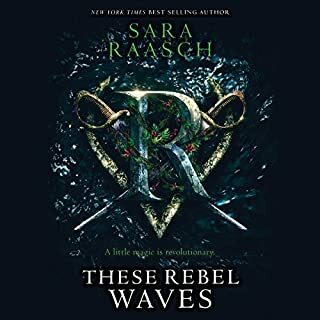 I don't think there was anything wrong with the book, I liked the characters, the pacing was good, it didn't annoy me (not once, so that is saying a lot) and it kept me entertained. I just didn't LOVE any of it. Maybe I was just not really into the actual plot of the story, with the seasons and the rhythms and the conduits and all that jazz. In any case, I won't be jumping off the walls to read the second, but I most definitely plan on reading it. The story is very original and the characters each have a defining personality. my only problem is that kate rudd uses the same 3 voice tones for everyone in the book. making it hard to stay on top of who's currently speaking. The narrator can make a world of difference in an audible book. I have listened to this one before and was quickly reminded how every voice is the same. The men's voices are a little deeper but they all sound the same. A drawn out gravely sound at the end of each sentence. She also doesn't speak in sentences, it's word by word by word. The story jumps a lot. I thought it could have been so much more in depth to capture the listener but it just wasn't there. The narrator does have a very strong voice, she just needs to work at changing it up a bit. 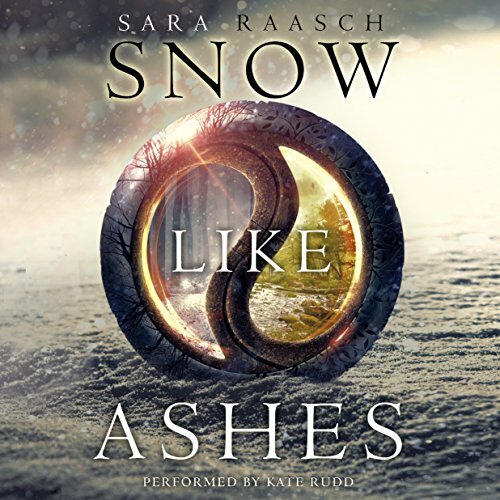 Where does Snow Like Ashes rank among all the audiobooks you’ve listened to so far? This book, obviously, is well written; however, I'm not sure if it's half as good as I think it is thanks to the brilliance of the narrator. She makes the characters live and breathe, infused with characterization. The story is vivid and entrancing. It pulls you in and never lets you go. I can't wait for the next one! It was a good premise but way too easy to predict. Too many clues are given so the plot twists aren't as surprising as they could be. It also felt too easy. Like she's barely trained but manages to get away. Herod would or should have been more experienced than to make such a silly mistake. I kept hoping there was a big plot twist coming... Like when Angra brings the Prince to Meera all beaten. I thought maybe he was the twist... that he was working with Angra. But no... it was just leading to the love triangle. I don't find the character relatable. Her evolution as a character takes too long to start and then when it does start then it happens all at once. I find it difficult to believe a person can change in such a short span of time. I mean, she bounces between a horny teenager to a selfish brat to a regal queen. She somehow just knows how to use the magic in the last fight. She holds her hands out and pours the magic into her people. How did she know to do that. There's no learning curve. The victory relies too much on the magic that Meera has had for only a few weeks. I liked the narrator except that the volume was like a rollercoaster. I sometimes battled hear the words while my phone was on full volume and then sometimes out of nowhere it would almost blow my speakers. I found it difficult to differentiate between the voices of the males. I would sometimes think it's one guy and then the words of the book say it's another guy. I loved the sassiness of Meera. I liked how she was constantly putting herself under scrutiny in her head. Arguing with herself. I liked her sarcasm and quick wit. Over everything... you can actually feel how young she is and how inexperienced she is at life. She's just a giddy teen in a love triangle who just went from a nothing orphan to a magic queen. So disappointing. The leads were impossible to like. The writing is super repetitive and predictable. The narrator was horrid. All the male voices were the same. Only reason I finished it was because I spent a credit. Not sure how this was so popular. acting is great. the writing is super repeative. locket locket boo hoo poor me locket locket , makes up the theme for pages. not sure if i will get book 2 or 3. The premise is intriguing but the writing is juvenile, even for YA, and the plot is predictable. The narrator uses the same voices for all men, and her acting style makes the romance seem even more soap opera-esque. Not worth my time, not worth a credit. I was very intrigued with this read. I admit that the cover of the book was the first thing to peek my attention. Once I read the summary of the book, my interest was further peaked. I wanted to know more about what what this story had in store for the reader. I was not disappointed! 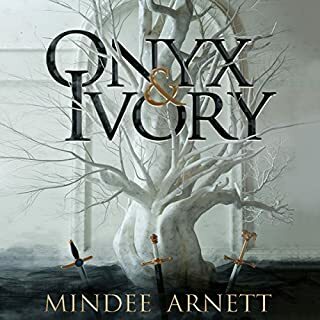 The very use of the seasons and how the author incorporates that into the story fascinated me, and I wanted to know more about the author's use of the elements in her writing. I was very interested in the characters and their journey. Raasch's story telling draws the reader in with her interesting characters and story-telling technique. Snow Like Ash is an excellent beginning to the series. Her world was one I wanted to know more about and was excited to read more in the second novel in the series. In all, this was the first book I read by this author, and I am very interested to read more works by this author. 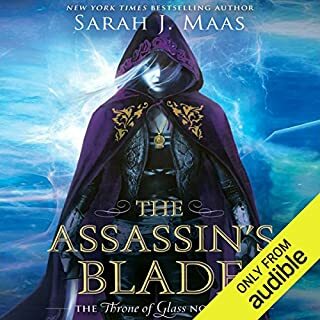 Her following two books in the series were a great start and I was looking forward to continuing my journey with Meira and Mather. My only regret is not reading this series when it first published and hope more are able to get a chance to read it! Rudd does a good job in her narration. However, I did not find it to be extremely well done. It was good enough to captivate the story and provide the listener with a good listen. I do admit that I had to listen at a higher than a 1.5 speed in order to enjoy the narration. I recommend listening at a 1.5 speed to really enjoy this narration. For those who are listening while reading the book, I found 2.0 and 2.5 speed to be the best speeds. 3.0 was too fast for me, and I was missing a lot of what the narrator was saying and had to eventually slow down the narrator's reading speed. This did hold my attention and I listened until the end but it didn't make me want to continue with the series. For a fantasy novel it had very little fantasy in it, and instead concentrated on battles and weapons and kingdom politics. If you're into that stuff you'll probably like it! I just didn't feel like I cared enough about about Mira's kingdom to be gripped, as saving her kingdom was the driving force of the plot. The plot is excellent, the characters are fleshed out and realistic, the narration is perfect. This is one of my favourite books now, having just read it. I would highly recommend! It's not cliched at all like some YA. i struggled with this one. for such a strong minded, stubborn girl, the main character annoyingly melts at the sight of boys. its so frustrating! 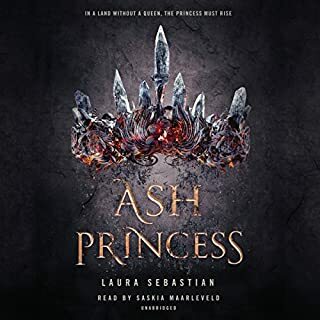 she grew up with the prince so i would think she would see him as more of a brother... the ending got better and I'll give the 2nd book a go but i didn't feel like this book was written very well. but give it a go for yourself! you might like it! Not a 10/10 but definitely a 7! An Ejoyable book! Good story. 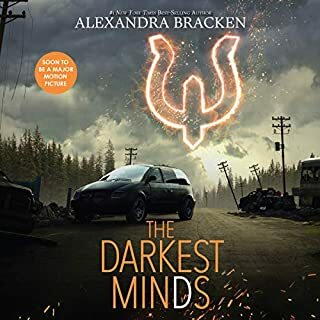 Was as enjoyable listen will definitely purchase the next two books in this series. looking forward to hearing them both.